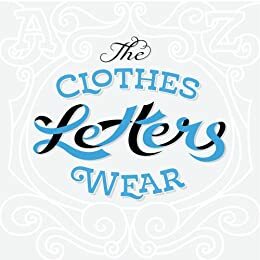 The Clothes Letters Wear - Kindle edition by Jeremy Dooley. Children Kindle eBooks @ Amazon.com. Letters wear fonts. That’s a basic concept that even young children can grasp and appreciate. Typeface Designer Jeremy Dooley presents The Clothes Letters Wear, a book that will give your children (and you, too) an appreciation for the craft and design of letters. The captivating illustrations are bright and colorful, and the use of different letter forms makes for a fascinating read to delight ages young and young at heart. This simple foundation allows children to jumpstart their own creative ideas. It's a book you can enjoy reading together over and over. Length: 17 pages Matchbook Price: $0.00 What's this? What a wonderful introduction to the different styles of fonts! My 4th grade enjoyed it very much, and created their own initials (one with serif and one sans serif). I believe understanding type is part of literacy - just knowing that letterswith serifs are still the same letter. I only wish it was available in ebook format instead of only Kindle. 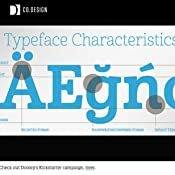 The web page had a picture that showed the different Typeface Characteristics. Based on this, I was expecting more from this book. It is a cute alphabet book, but beyond that, it doesn't have much value. I got this on Kickstarter, and honestly I thought I was getting it more for myself then my 18 month old, but she loves this book! Its one that she will ask to be read at night before bed, and thats a high honor! This book is absolutely wonderful! It is beautifully illustrated, well written, and it serves multiple purposes - not only does it teaches children about fonts, but it also makes learning the alphabet fun and memorable! as one of the kickstarter backers, i was really happy to see this project succeed. this book is great; the writing is fun and teaches many principles of typography in a very engaging way. I bought this book through the original Kickstarter and my son, who already had a premature love of letters, absolutely devoured this book. I think he memorized it in the first day he read it so much. 5.0 out of 5 starsA great book for a preschooler!